I just received this colourful picture from Jan in the US. Easter bunnies for her grand children. Aren't they great? 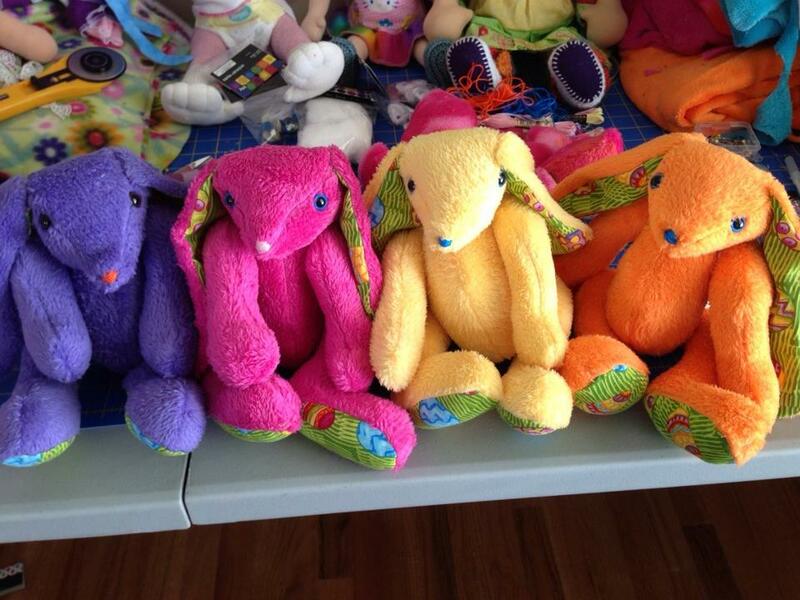 The bunnies were made from the Rowena Rabbit pattern, which you will find in my Etsy shop.